Vaya tiffin boxes are Full of Innovation, they are BPA-Free, Leak-resistant, 30% Thinner, keeps food 5-6 Hours Hot, comes with 1 year of Warranty. Vaya launched in August 2016 and provides Tyffyn 100, Tyffyn 600 and BagMat, three high-end tiffin boxes meant for outdoor use. The specialty of their tiffin boxes is that they are double walled, high vacuum insulated stainless steel shells that keep food warm for roughly 5-6 hours and keeps it leak resistant. It has a compact oval design and is about 30% thinner than any other tiffin. Just as Vaya’s products have got your back for your outdoor food needs; Zingoy has got your back, with a number of offers to curb your expense. 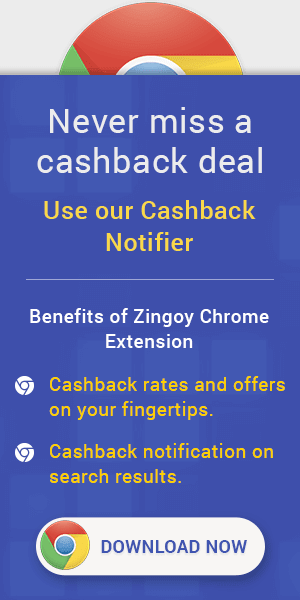 You earn cashback every time you shop using your Zingoy Vaya links. You can also create and share your Vaya links to earn more cashback every time your family and friends buy Vaya’s tiffin, using your links.